​According to the art of Feng Shui, the type and direction of cosmic energies in the bedroom can affect your quality of sleep. If you’re not familiar with where to place your bed and the direction you should sleep in, check out this Feng Shui bed placement guide. Many people have very active and busy lives that cause them to lose valuable sleep time. When they do get enough hours to rest, they often don’t get the full restorative benefits of sleep. Fatigue and sleep-deprivation often lead to poor work performance, relationship challenges and health issues. Do you often wake up feeling out of sorts? Doesn’t it sometimes seem like you need to get back in bed to start the day over? You need more than the right mattress and temperature in the bedroom. 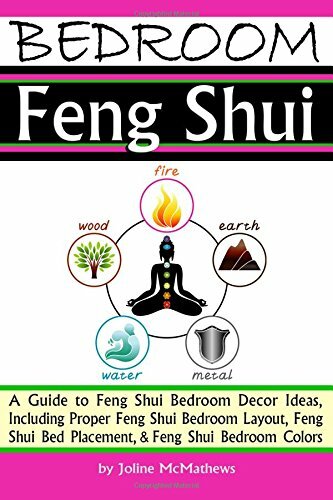 Whether you’re a firm believer in feng shui or a novice at the art, this feng shui bed placement guide can help you learn the effects of bed placement on your health, relationships and life force. There’s no disputing the effects of a good night’s sleep on the body and mind. When you sleep well, you feel like you’re on top of the world and the sky is your limit. When you sleep poorly, you might have trouble feeling your best. When you take kua nu​mbers into consideration to determine the placement of your bed, you might find that your most beneficial and least beneficial directions don’t quite follow the directional guidelines. Step 1: Add your third birth year digit to your fourth birth year digit. Step 2: Choose the gender you identify with. Step 3: Females must add five to the number they calculated in the first step. Males must subtract the number they calculated in the first step from 10. You may want to use a floorplan or drawing of your bedroom’s structure and design. You need to be able to divide your room into eight equal parts. Label each portion with the cardinal direction it corresponds with. Remember, cardinal directions are based on the directions of the magnetic forces that come from the Earth’s core. They are North, South, East, West, Northeast, Northwest, Southeast and Southwest. On your placement diagram, your labeling should look like the directions on a compass. You should always sleep with your head pointed in the best direction. The most beneficial head placement for you doesn’t work for everyone. 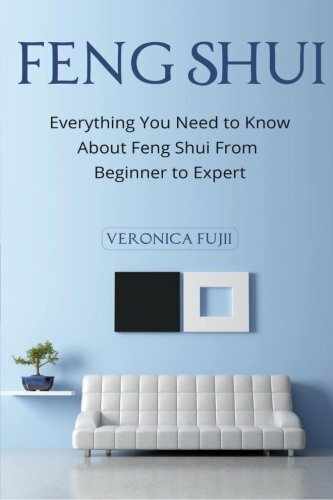 To learn what the optimal feng shui direction is for your head when you sleep, you need to think about the things you desire most in your life — better health, relationship or more wealth. 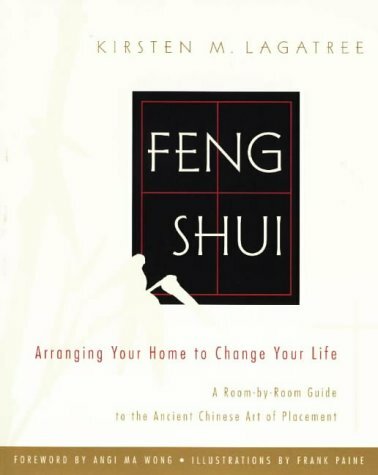 Don’t forget there are several different feng shui strategies for you to consider. This guide focuses on the use of directions and personal numbers. The direction your bed faces can have a significant impact on your life. If you’re using a feng shui theme for your bedroom, don’t forget to choose colors and accents to enhance your goals. The bed is often the biggest piece of furniture in the room. It must be positioned properly to maximize the proper flow of cosmic energy and benefits of sleep. Bed placement is highly-influenced by north, south, east and west directions. Each direction is associated with certain properties. Some positions increase the flow and effects of harmful chi for some individuals. Think about your good and bad qualities and use them along with the following information to determine the ideal direction to place your bed and for your headboard to face. One of the most beneficial directions for your head and headboard is west. If you’re for the most part happy with your life, relationships, career and education achievements, you feel content. Contentment helps to quiet the mind and relax the body, thus promoting good sleep. If you feel you want more from any of those areas or other things in your life, you might want to consider one of the following three positions. Do you usually feel restless and unsatisfied? Maybe you frequently experience feelings of uncertainty and could use a boost of self-confidence? Make sure your headboard is facing the southwest direction to surround yourself with calm, tranquil and soothing energies while you sleep. If you have trouble staying motivated and ambitious or are having trouble advancing your career or taking your relationship with your partner to the next level, the ideal direction for your headboard is east. It enhances positive energy and can make you feel more energetic, focused and unstoppable. Some people are better at communicating and expressing their creativity than others. If you want to develop better communication skills, feel less awkward in social situations and enhance your creativity, the southeast direction is best suited for your headboard. If you often feel troubled, stressed, anxious and are easily agitated, you should avoid having your headboard face northeast and south. The northeast increases the flow energies associated with strong and potentially negative emotions. The south increases the flow of energy in general and can cause you to feel overstimulated and conflicted. Whether or not you can benefit from the north direction is highly dependent on your age and mindset. If you’re young, ambitious, and have trouble going to or staying asleep, you might want to avoid positioning your headboard so it’s facing the north. It can make you feel slower, less energetic and make it even harder for you to achieve a good night’s sleep. If you’re older, don’t have to work long hours, or have a physically and mentally demanding job, you might prefer the north placement because it may be more calming to you. Avoid having empty space behind your bed. Space behind the head of your bed can make you feel unsafe and less secure in the one place you should feel the safest and most secure. It also causes issues with the energies that foster healthy relationships. If you can’t place your headboard against a wall without violating the other feng shui placement rules, use furniture to occupy it. If your bed usually faces the bedroom door or door to the master bath, you might not realize how much it may resemble a coffin, hence the term “coffin position.” According to feng shui principles, this positioning should be avoided at all costs to reduce the presence of harmful energies that could affect your health, mental well-being and relationships. Suppression in any area of your life isn’t very beneficial, especially if your bed is situated underneath ceiling beams and furniture. Items overhead can make you feel stifled and suppressed. The effects are often stronger in children and senior bedrooms. They can also have a suppressing effect on the very energies you want to enhance. If beams and overhead furniture are unavoidable, you should consider the use of an overhead canopy to counteract their chi. Some people like to sleep under their windows to stay cool and enjoy the soothing sounds of the night. As comforting as it might seem to some people, you might not feel the same way, especially if you’re a light sleeper. Underneath a window isn’t necessarily the ideal spot for the head of your bed. Traditionally, mirrors and tube televisions don’t belong in feng shui-influenced bedrooms. If you must have mirrors, don’t place them in areas where you can view your reflection from the bed. The same goes for tube televisions. If you want to have a flat screen television, make sure it’s the kind that has a black screen and does not show a reflection when it’s off. It goes without saying that you should have a good and supportive mattress. You might also want to avoid using a metal bed frame. If you live with your partner, it might help if you sleep in a direction that supports your relationship and is in line with your relationship goals. You may need to do further research. The bed and its placement are two of many feng shui rules and principles you’ll need to follow to ensure the energies in your bedroom and home flow in the right directions and are optimized for your benefit. The color of your wallpaper and paint, plants, symbols, and décor also have an impact on your results. Ultimately, you may need to experiment a little to find the right combination of feng shui principles for your bedroom and home.